Oceania Cruises, the world’s leading culinary- and destination-focused cruise line unveiled more than 80 land tour options for discerning travelers to choose from. These new offerings are the line’s most extensive to date and include pre-, post-, and mid-cruise options in Australia, Asia, Africa, Egypt and the Holy Land, Europe, South America, Alaska, and Canada. Ranging from one night to five nights in length, offerings range from overnight packages in the world’s most exciting metropolises to overland explorations to Angkor Wat and Chang Mai, luxury safaris on Africa’s most sought-after private reserves, or ventures into the Swiss and Italian Alps or the Arabian Desert and even an expedition into the Himalayan Mountains to legendary Kathmandu and Mount Everest. Himalayan Kingdom of Nepal and Mount Everest – this four night expedition centers on Mumbai and Kathmandu and includes a flightseeing over Mount Everest as well as visits to Patan, Bhadgaon City, Bodhnath Stupa and Pashupatinath. Guests will have a private audience at the Living Goddess, visit a Tibetan monastery and attend an evening prayer ritual. For additional information on Oceania Cruises’ 86 unique land tours on offer, please visit Oceania Cruises' Land Tour Series. OceaniaNEXT is a sweeping array of dramatic enhancements so transformational, they are inspirational. 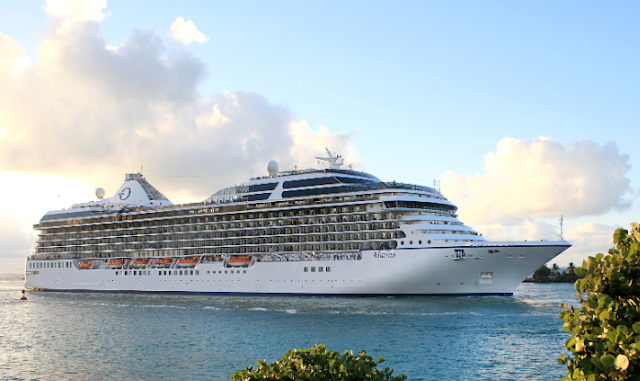 This ambitious brand initiative will elevate every facet of the Oceania Cruises guest experience to new levels. From thoughtfully crafted new dining experiences and reimagined menus to a better than new fleet of ships, guests will savor The Finest Cuisine at Sea, be pampered aboard intimate and luxurious ships, and be enriched through in-depth destination exploration.